Q1. Rs. 2500 was borrowed for 3 years. What will be the compound interest if the rate of interest for first year is 3% per annum, second year is 4% per annum and for third year is 5% per annum respectively? 2500 रुपये को 3 साल के लिए उधार लिया गया था। यदि ब्याज दर क्रमशः पहले वर्ष के लिए 3% प्रति वर्ष है, दूसरे वर्ष में 4% प्रति वर्ष है और तीसरे वर्ष के लिए 5% प्रति वर्ष है तो चक्रवृद्धि ब्याज क्या होगा? Q2. A sum of money becomes 16 times of itself in 2 years if compounded half yearly. How much time it will take to become 27 times if compounded yearly. अर्धवार्षिक रूप से संयोजित होने पर 2 वर्ष में राशि अपने आप की 16 गुना हो जाती है. अगर यह वार्षिक रूप से संयोजित किया जाए तो वह अपने आप की 27 गुना होने में कितना समय लगेगा? Q3. The difference of S.I and C.I on an amount of Rs. 30000 for 2 years is Rs. 147. What is the rate of Interest? 2 साल के लिए 30000 रुपये की राशि पर S.I और C.I का अंतर 147 रूपए है. ब्याज की दर क्या है? Q4. If the ratio of the difference between S.I and C.I. for two years and 3 years is 4: 13. Find the rate of interest. Q5. Rs. 39030 is divided between ‘a’ and ‘b’ in such a way that amount given to ‘a’ on C.I. in 7 years is equal to the amount given to ‘b’ on C.I. in 9 years. Find the part of ‘a’. If the rate of interest is 4%. Q6. What will be the difference between simple and compound interest on a sum of Rs. 4500 put for 2 years at 5% per annum? 2 वर्ष के लिए 5% प्रति वर्ष की दर से 4500 रुपये की राशि पर साधारण ब्याज और चक्रवृद्धि ब्याज के बीच अंतर क्या होगा? Q7. 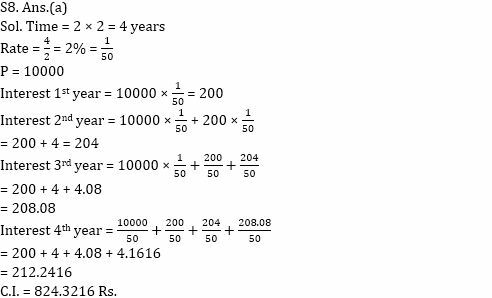 What will be the amount if a sum of Rs. 5000 is placed at compound interest for 3 years while the rate of interest for the first, second and third years is 2%, 3%, and 4% respectively? यदि 5000 रूपए की राशि को 3 वर्ष के लिए चक्रवृद्धि ब्याज पर रखा गया है जबकि पहले, दूसरे और तीसरे साल के लिए ब्याज की दर क्रमशः 2%, 3% और 4% है तो राशि क्या होगी ? 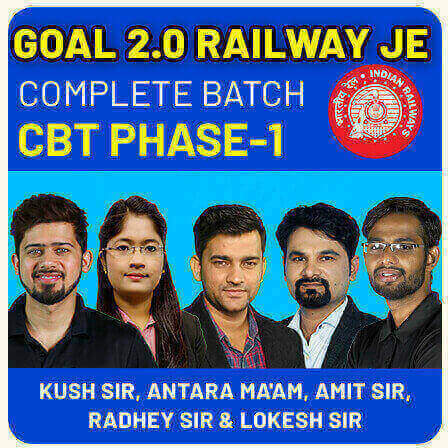 2 साल में 10,000 रुपये की राशि पर 4% प्रति वर्ष की दर से चक्रवृद्धि ब्याज क्या होगा यदि ब्याज को अर्धवार्षिक रूप से संयोजित किया जाता है? Q9. The compound interest on a certain sum of money invested for 2 years at 5% per annum is Rs. 328. 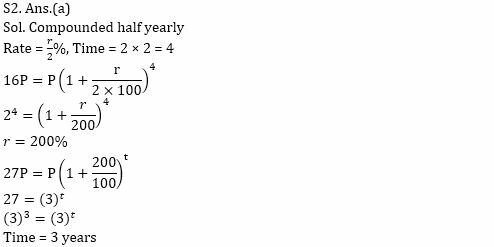 The simple interest on the sum, at the same rate and for the same period will be? 2 वर्ष के लिए 5% प्रति वर्ष पर निवेशित धनराशि पर चक्रवृद्धि ब्याज 328 रूपए है. समान दर पर और समान अवधि के लिए साधारण ब्याज कितना होगा? Q10. A sum of Rs. 2000 amounts to Rs. 4000 in two years at compound interest. In how many years does the same amount becomes Rs. 8000. चक्रवृद्धि ब्याज पर दो वर्षों में 2000 रुपये की राशि 4000 रुपये हो जाती है. कितने वर्षों में समान राशि 8000 रुपये हो जाएगी?